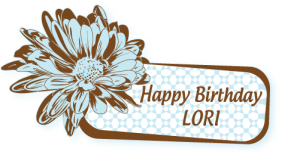 JoyOfStamping » Happy Birthday Lori! 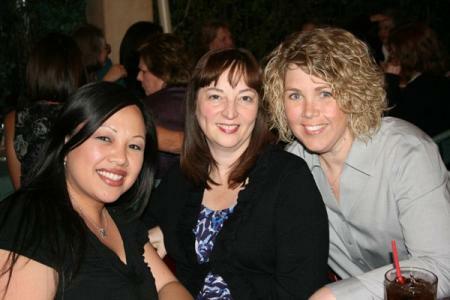 A dear sweet friend of mine is celebrating her birthday today! 🙂 Lori Craig is such a kind, sweet gal. I enjoy any time I can spend with her (which is not often enough)! This is the card I made for her birthday. This is using Our Craft Lounge’s Vintage Valentine Set. I just loooooove this set. I colored it with Copic Markers and then used my Ink Blending Tool to apply some distress ink to the edges. 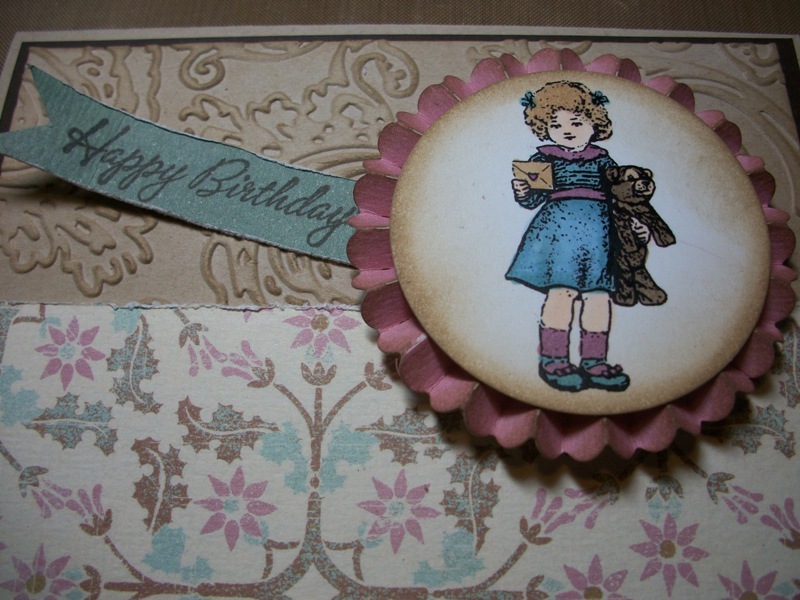 I then put the image on Tim Holtz’s Paper Rosette. I also used Tim’s Regal Flourishes Texture Fade to give it some texture. The patterned paper is from an older collection from My Mind’s Eye. The “Happy Birthday” was from a Hostess Set from Stampin’ Up! I just stamped it with Coffee Archival ink on the back of the MME patterned paper and cut it to look like a banner. 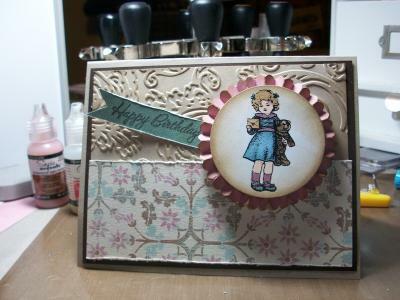 I also took the Tim Holtz Paper Distresser to the edges of the patterned paper. 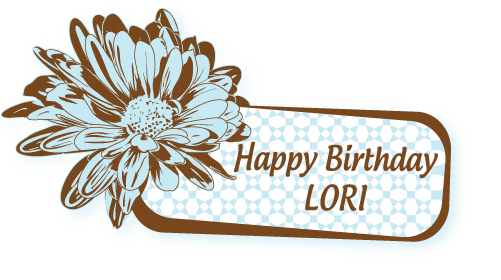 Lori, if you are reading this, I hope you have a great birthday!!!!! Hope you enjoy the birthday party Jami put together for you! 🙂 xoxo! What a gorgeous card – and beautiful pic of you three!!! Amazingly beautiful card Joy!! I love your talent! Our store has a popular cigarettes collection including such top brands as Buy Cheap Newport,Newport Cigarettes, Camel, Pall Mall, Lucky Strike…We offer best prices along with finest quality of Newport Cigarette manufactured in Europe and USA. So Cute Joy….What a Pretty Birthday card…Love that Little Girl!! BTW…Happy Happy Birthday to you yesterday hope it was just perfect!! 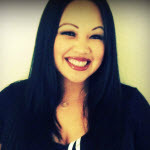 Thanks for making my day extra special, Miss Joy! Lovely card…Really pretty card…perfect color combination shown here….Thanks!! A Hermes Birkin bag is actually a fashion icon in the market today.